Organisational Culture. Often defined as ‘the way we do things around here’, is a melting pot of individual and collective behaviours, attitudes, values and beliefs. 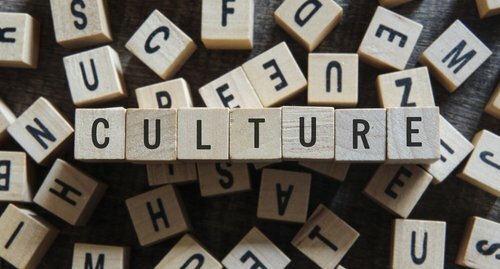 Culture is often cited as an enabler for superior organisational performance – but what can you do when it becomes more hindrance than help? I was talking with an old and trusted colleague of mine recently about culture change programs. We often get clients approach us and identify a requirement for what I call the ‘culture change panacea’. This refers to a perception that you can magically change an organisation’s culture and as a result all the negative things impacting on or occurring within that organisational will automatically fix themselves. Admittedly this list falls short of being an all-encompassing model of organisational culture. However, I do believe that the majority of negative ‘culture’ related issues can be mapped back to these areas. I also believe that when designing a tangible culture change initiative, using these areas as the key transformation levers is an excellent starting point for achieving the ultimate outcome of changing those individual and collective behaviours, attitudes and beliefs. This is all about ensuring that there is a clear line of sight in the way that the organisation defines strategic intent and articulates required outputs and objectives. Organisations that fail to do this effectively will often find it difficult to define and measure success and align the work effort in a way that optimises performance. • Does the organisation have a clearly articulated vision or overarching purpose? • Are there clearly articulated objectives that cascade through Business Units / Divisions? • Do staff have clear objectives and goals? • Do staff understand how their role and performance impacts on others? • Is there a collaborative process utilised to set business objectives and assess performance? • Are the organisational structure and operating model aligned with the business requirements? • Are work practices effective and efficient? • Do staff have the right tools to do their work well? • Does the organisation know what skills and capabilities it needs? • Are there programs and structures in place to accurately define and measure capability? • Is the organisation building capability in the right areas? • Are staff sufficiently recognised and rewarded for their capability and performance levels? • Do staff feel that they have a voice? • Are the formal and informal communication mechanisms working effectively? • How effective are the feedback loops? • Do staff get on OK at a social level? • How engaged are staff in their work / the team / the organisational unit / the organisation as a whole? • Are the Leaders trusted? • Are the Leaders competent? Culture Change is difficult for a number of reasons. It is difficult to accurately define the problem, establish a baseline and measure success. By focusing on more tangible elements of the organisation, the culture change problem can be re-framed into a more pragmatic program of work. The Consulting Space has helped clients analyse, baseline, plan and implement transformation programs across a number of sectors. Contact Adam Libbis on 0417 454 247 or via adam.libbis@consultingspace.com.au for more information.